Satellite Tv on Pc - Our Software Instantly Turns your Computer into a Super TV! Over 4000 Stations for a small one-time fee. You have nothing else to pay EVER! Now you can watch hundreds of LIVE worldwide channels on your PC. 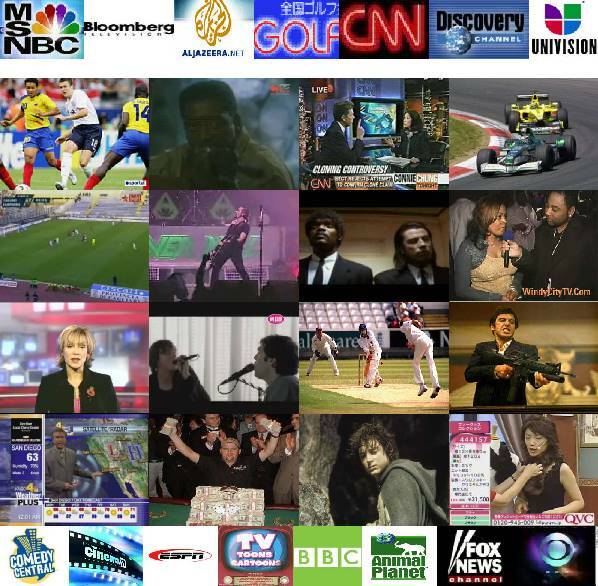 Watch TV in English, Spanish, German, Arabic, French, Italian, Russian, Dutch and more! You may also browse world TV by regions or by country name. No subscription needed! 100% Legal - Guaranteed! ...... More than 1 million users are already enjoying the incredible variety. Stop paying for high-priced cable or Satellite services! Watch LIVE Games (even the games that are not shown elsewhere) - with our software! Watch Satellite TV Live on your laptop or desktop PC in minutes. Qweas is providing links to Watch TV on PC Free 2009.134 as a courtesy, and makes no representations regarding Watch TV on PC Free or any other applications or any information related thereto. Any questions, complaints or claims regarding this application Watch TV on PC Free 2009.134 must be directed to the appropriate software vendor. You may click the publisher link of Watch TV on PC Free on the top of this page to get more details about the vendor.